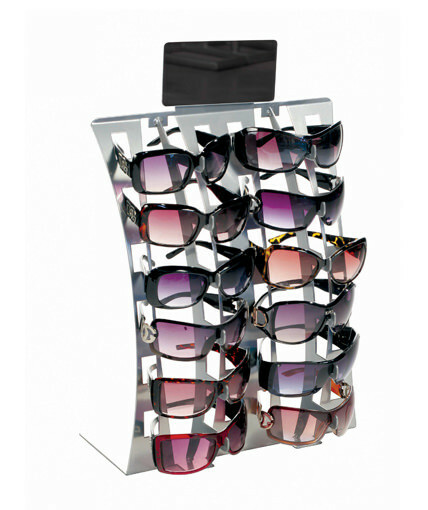 Retail point of purchase sunglass displays. 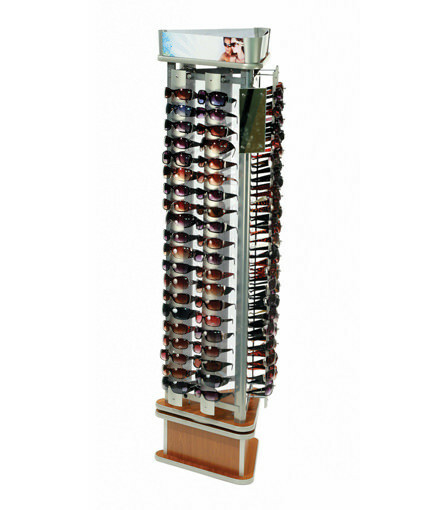 Spinning floor and table top sunglass retail displays. 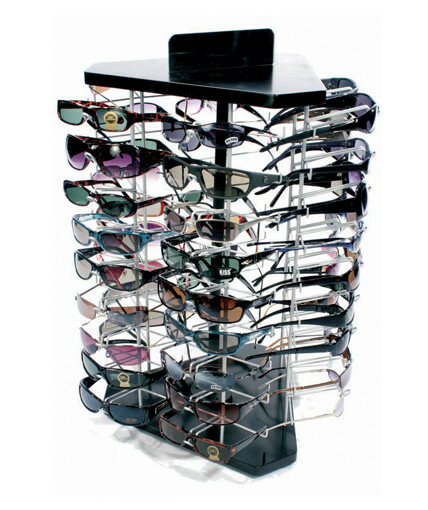 We offer a wide range of stock sunglass displays, including higher-end sunglass displays, moderately-price sunglass displays, and economy sunglass racks. 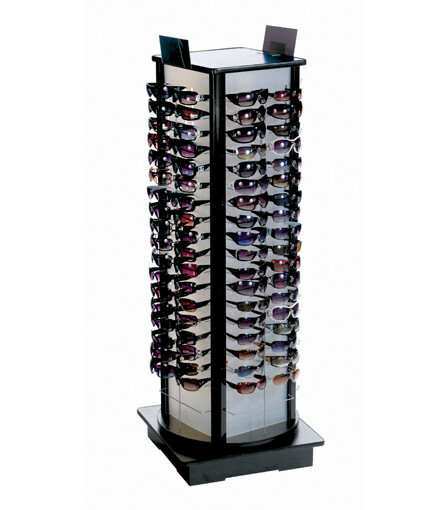 Not only are our displays intended to meet every budget, but they are designed to be effective in a wide range of retail environments- from convenience stores to gift shops and boutiques to specialty apparel stores and department stores. 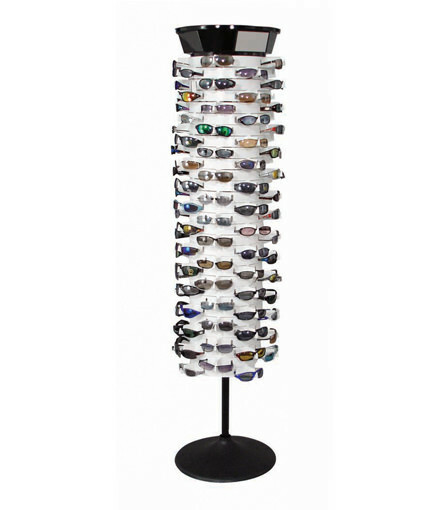 We offer both sunglass floor displays as well as counter displays. 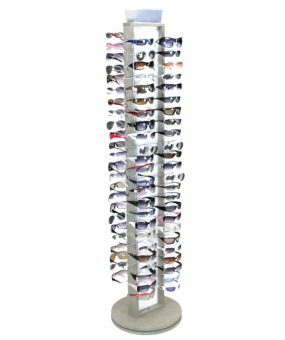 In addition to merchandising sunglasses, most of our displays can accommodate other types of eyewear such as reading glasses. 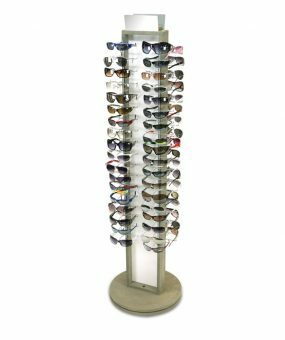 Our sunglass displays feature knock-down construction with easy assembly, which helps to reduce shipping and storage costs. 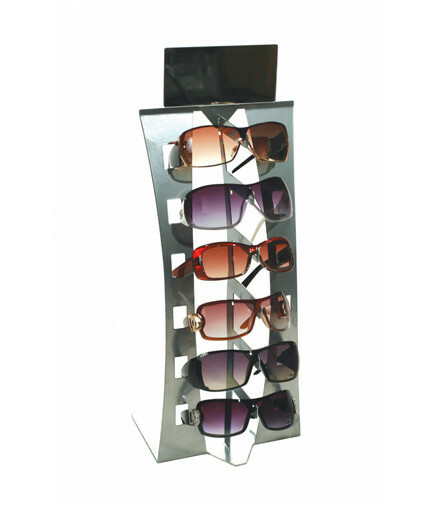 We utilize a variety of materials in constructing our displays including metal, wood and wood composite materials, plastic, aluminum and acrylic. 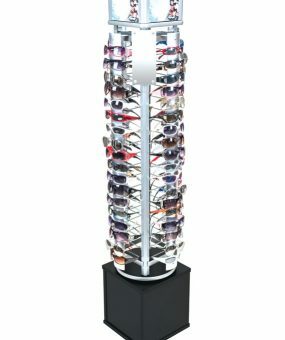 Most of our displays spin and therefore can be used effectively almost anywhere in a retail store. 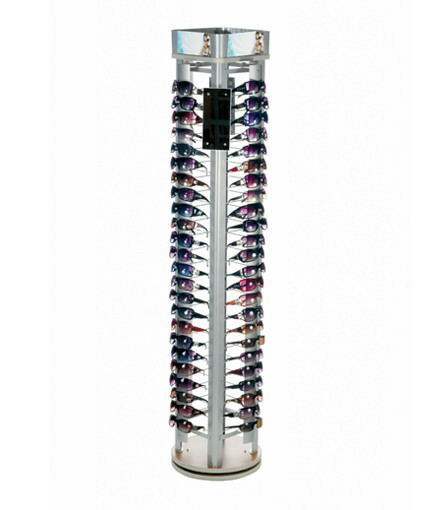 All of our displays feature small footprints to help retailers maximize sales per square foot. 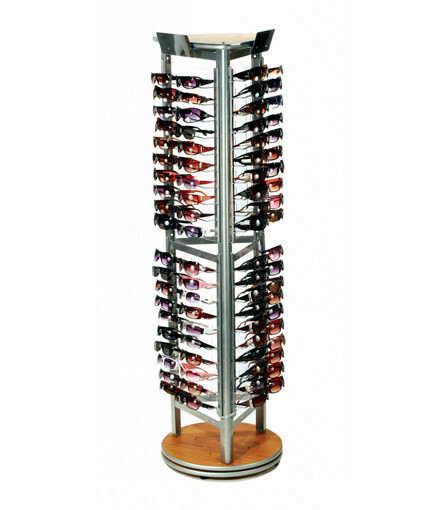 Our smallest counter displays hold as few as 6 glasses, while our floor displays can hold 120 glasses or more. 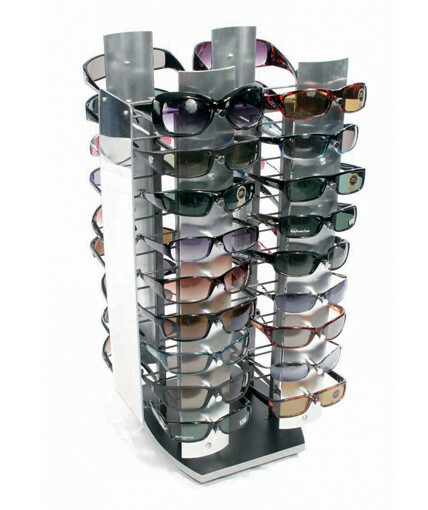 We offer many different options for sunglass carrying capacity to help meet the needs of your specific merchandising program. 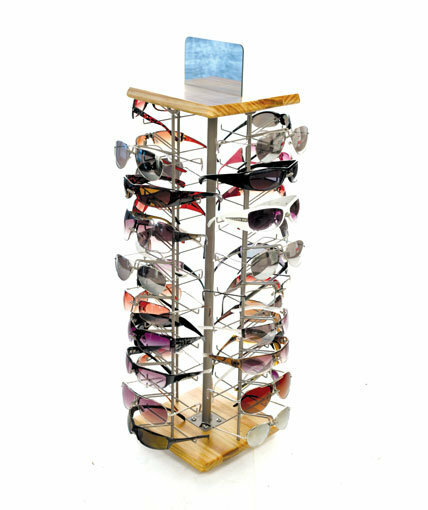 We also offer a number of different colors and finishes. 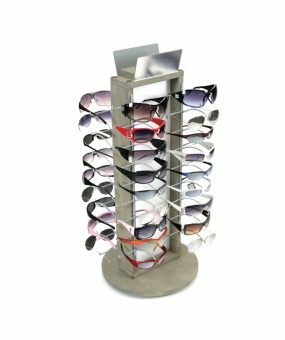 If you don’t see a stock sunglass display that works for you, let us know and we can design a custom sunglass display that meets your needs.